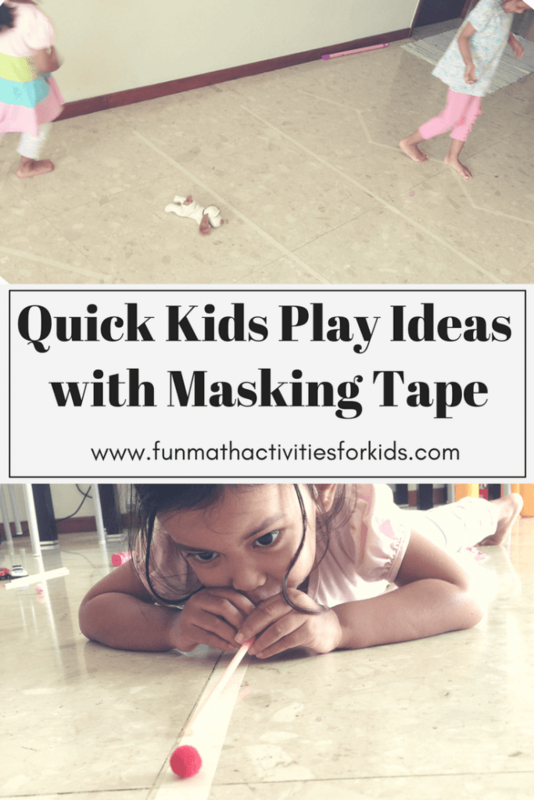 This is another quick prep play ideas for kids with masking tape. 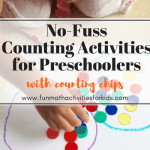 Train their fine motor and gross motor skill that you can do at home! 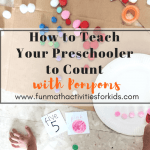 This time both misses played something “physical” while they could still learn and stayed indoor (it was VERY SUNNY OUTSIDE mommy-couldn’t-take-it). 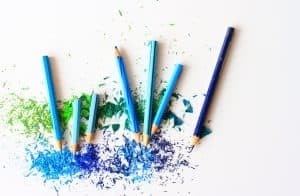 I got the inspiration of using masking tape or painter’s tape from Jamie’s blog (check hers on Hands On As We Grow, she’s awesome and has a hell LOTS of activities you should try with the kids!). 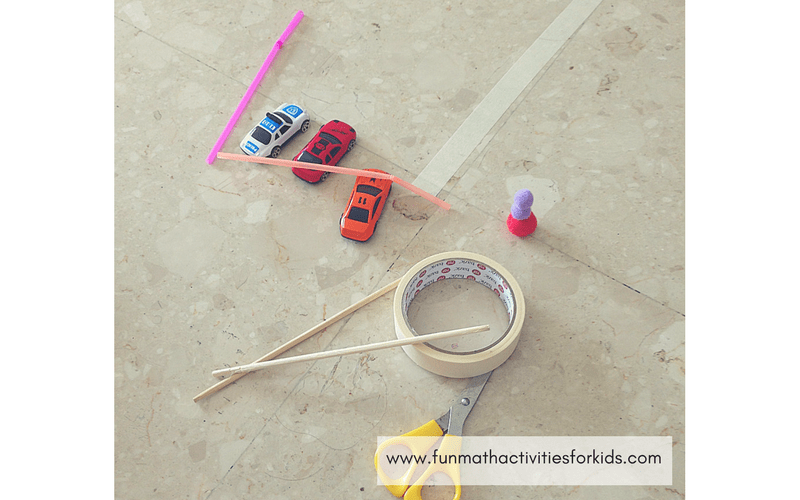 Don’t you believe we can actually do some fun activities for kids at home with masking tape? masking tape or painter’s tape and scissors. 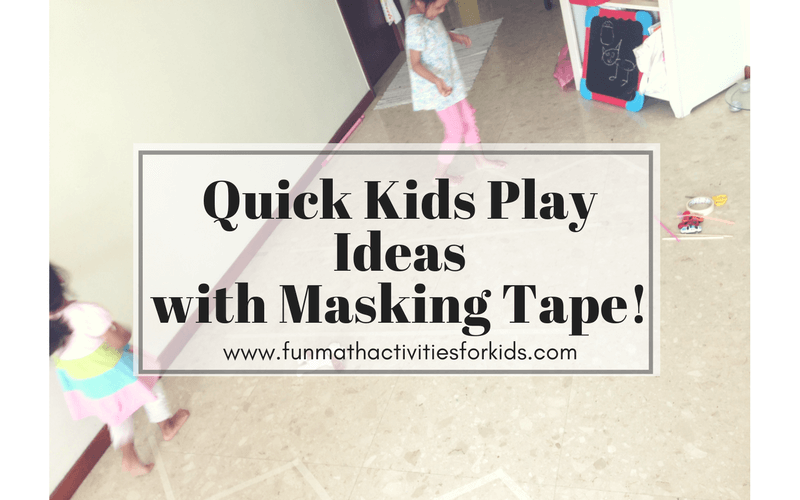 Masking tape is another go-to supply for me to create various activities for the kids. If you stock this at home, I’d suggest get them in bulk, like this set of 9 rolls. 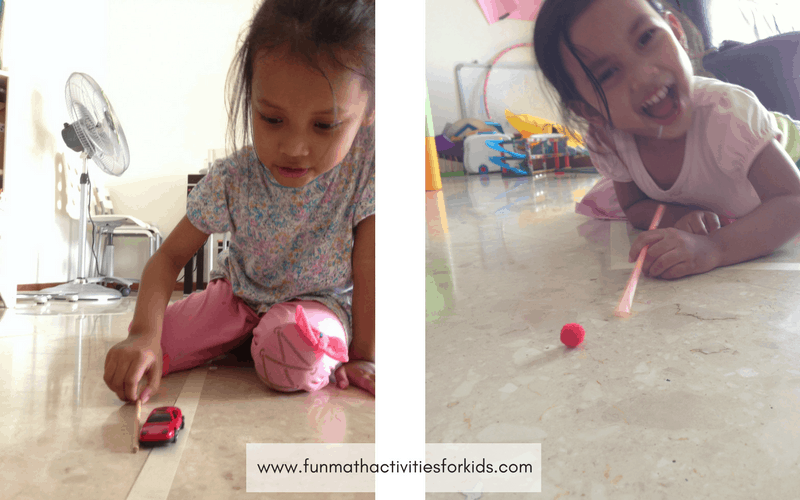 Learning objectives: recognizing shape and patterns (straight, zigzag, etc), developing gross motor skill – balancing steps on a straight and zigzag lines, as well as fine motor skill – blowing pompoms/pushing car with chopsticks on the lines. First, prepare the track(s) with your masking tape. I pasted the masking tape on my floor. I saw some moms did it on their carpet too, whichever works with your space at home. Here I made two straight line tracks and two zigzag tracks. 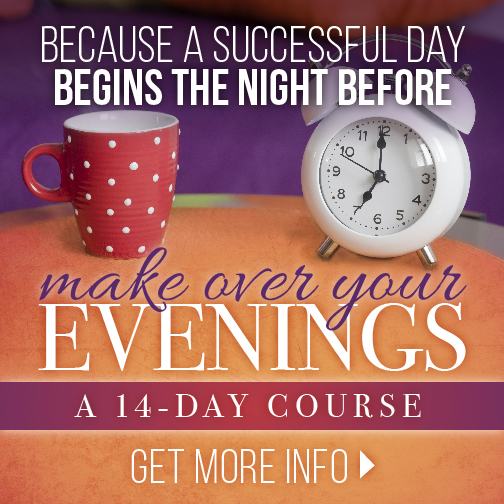 It’s really up to you on what kind of pattern you want to make. Straight lines, zigzag, curvy, or make various shapes (rectangle, triangle), you can make a maze if you want something harder. 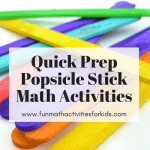 Have each child keeps one pompom + one straw, and a toy car + chopstick (or any stick). Balancing steps: ask each child to stand at one end of the track, and start together to walk on the line. I started with the easy track, the straight line, then continued to the zigzag track. 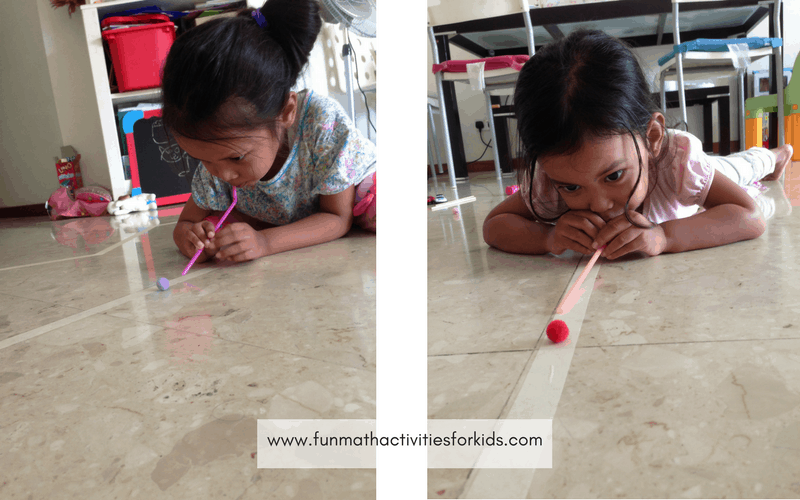 Younger kids may need more patience to follow the zigzag lines without falling off the track. Miss U kept giggling she couldn’t focus on the track, lol! Try asking them to walk forward, then sideways – crabby style. More giggling ensued! Blowing pompoms: Start from one end of the chosen track. Put the pompom on the line, then start blowing! Kids, keep your pompom on the line! 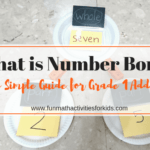 You can vary the shapes of your masking-tape tracks, make a maze, or make letters-shape tracks to spell your child’s initial. 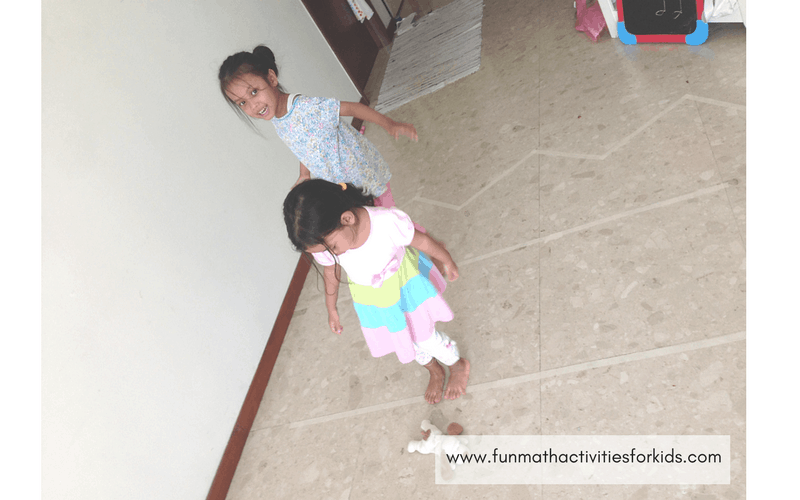 For the balancing steps activity, you can ask the child to walk sideways, or backwards. Or ask them to walk while balancing a small item on top of their opened palm or head. That’s it, have fun with the tracks. 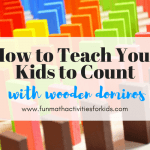 Let me know if you have tried any other modifications to this activity!